HOUSTON ? Ivosidenib, an experimental drug that inhibits a protein often mutated in several cancers has been shown to be safe, resulting in durable remissions, in a study of acute myeloid leukemia (AML) with relapsed or refractory disease. The multi-center Phase I trial, led by researchers at The University of Texas MD Anderson Cancer Center, was designed to determine ivosidenib's safety and efficacy in treatment of patients with a form of AML in which the enzyme isocitrate dehydrogenase 1 (IDH1) is mutated. IDH1 mutations occur in 6 to 10 percent of AML patients. Findings are published today in the June 2 online issue of the New England Journal of Medicine and presented at the American Society of Clinical Oncology Annual Meeting in Chicago. This first study of ivosidenib in humans, which enrolled patients between March 2014 and May 2017, administered a daily dose of the targeted IDH1 inhibitor to 258 patients. 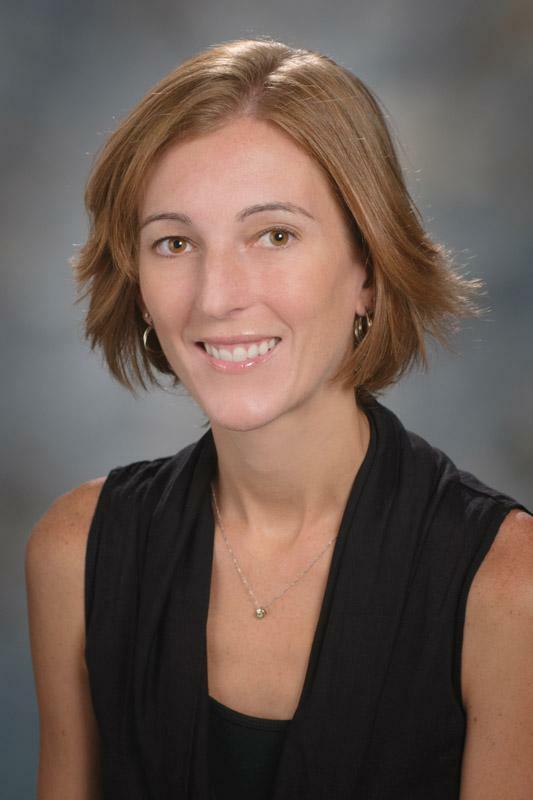 "Ivosidenib, when administered orally as a single agent, was associated with acceptable side effects and induced durable and deep remissions," said Courtney DiNardo, M.D., assistant professor of Leukemia at MD Anderson. "In the trial's primary analysis cohort of 125 patients with IDH1-mutated relapsed or refractory AML treated at the recommended 500 mg daily dose, ivosidenib led to an overall response rate of 41.6 percent and a complete remission rate of 21.6 percent." The study also reported that 30.4 percent of those 125 patients were in complete remission but with blood counts not fully restored. The overall survival rate was 50.1 percent at 18 months, as compared to historical overall survival of less than five months for patients with relapsed AML and two prior therapies. "Among patients achieving complete remission or complete remission with partial hematologic recovery, 21 percent had no residual detectable IDH1 mutations," said DiNardo. "While the significance and prognostic impact of ongoing detection of IDH1 mutations remains unknown, further evaluation of changes in IDH1 mutations over time with ivosidenib therapy will be important avenues of research." Hagop Kantarjian, M.D., chair of Leukemia at MD Anderson, also participated in the study. Other study institutions included Memorial Sloan-Kettering Cancer Center, New York; Institute Gustave Roussy, Villejuif, France; Weill Cornell Medical College, New York; Northwestern University, Chicago; Ohio State University Wexner Medical Center, Columbus; University of Miami; The University of Texas Southwestern Medical Center, Dallas; University of California, San Francisco; University of Colorado School of Medicine, Aurora; Sarah Cannon Research Institute, Nashville, Tenn.; Massachusetts General Hospital Cancer Center, Boston; Centre Hospitalier Universitaire, Bordeaux, France; University of Alabama at Birmingham; Johns Hopkins University, Baltimore; City of Hope Medical Center, Duarte, Calif.; Washington University School of Medicine, St. Louis; Mayo Clinic, Jacksonville, Fla.; University of Oregon Health & Science University Knight Cancer Institute, Portland, Ore.; Medical University of South Carolina, Charleston; Emory University School of Medicine, Atlanta; Mayo Clinic, Phoenix; Cleveland Clinic, Cleveland; Agios Pharmaceuticals, Inc., Cambridge, Mass. ; and Dana-Farber Cancer Institute, Boston. The study was funded by Agios Pharmaceuticals, Inc., Cambridge, Mass. DiNardo serves in an advisory role for Agios and Celgene, and Kantarjian is an advisor for Agios.